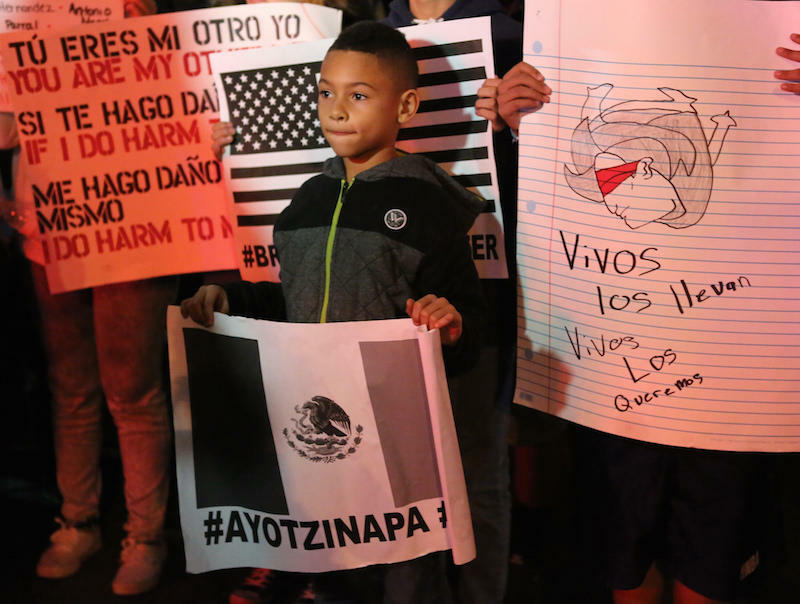 The disappearance of 43 students from Ayotzinapa has led to large protests in the United States and Mexico that call for the Mexican government to properly investigate what happened. From Texas Standard: Last year 43 people – all students at a teachers college – disappeared during a school trip. How much closer are we to knowing what actually happened? Tomorrow marks one year since the mass disappearance of students from Ayotzinapa attending a rural teacher's college. After official investigations, Mexico's government has concluded that on Sept. 26, 2014, corrupt police in the southern Mexican town of Iguala – instructed by a drug gang to round up rivals –apprehended the 43 students. They were then handed over to the drug gang, executed, and their bodies incinerated at a garbage dump. But a recent report by the Inter-American Commission on Human Rights has discredited many parts of the government's narrative. Parents have met with the Mexican President, and they say they believe their sons are alive. This weekend there will be a major demonstration in Mexico City. Josefina Salomón is with Amnesty International, which has been pressing the government for answers. Salomón says the Ayotzinapa tragedy is one of the "worst human rights scandals" in Mexico in recent memory. "It has exposed the crisis of disappearances taking place across Mexico," she says. She calls this a monumental scandal because the government has arrested hundreds of people but continues to insist that the students were killed. Outside experts, including international investigators, say the kidnapping and murders were "not possible." "You have a country here where just anybody can disappear into thin air, and nobody would know what happened to them," she says. When a person goes missing, Salomón says families have zero reliable information about what happened. "You have 43 families who do not know what happened to their loved ones," she says. This evening, Texas Gov. Greg Abbott will meet with the Mexican Secretary of Foreign Affairs José Antonio Meade. This meeting has been months in the making. Texas and Mexico put so much effort into their relationship, and not just because they’re geographically close. Between exports and imports, the amount of money that crosses the Mexico-Texas border is nearly $1 billion a day. 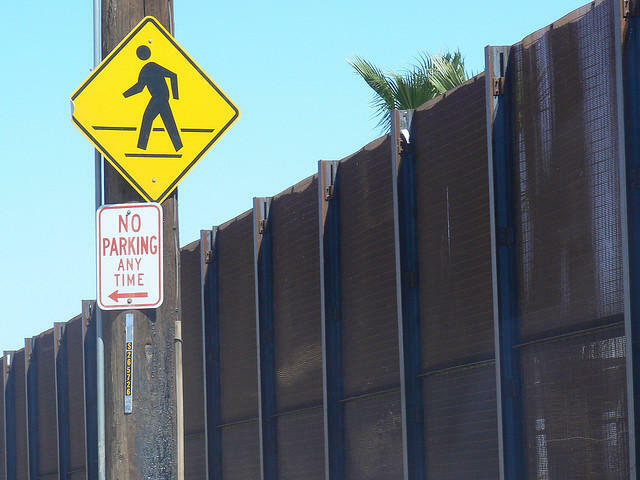 On Wednesday, Texas Senators passed a bill (SB 1252) that would create an inter-state southern border compact — a group of states that would share resources to secure the U.S.-Mexico border, according to the bill. It didn't pass, however, before Democrats and Republicans brought up their differences on the need for border security. 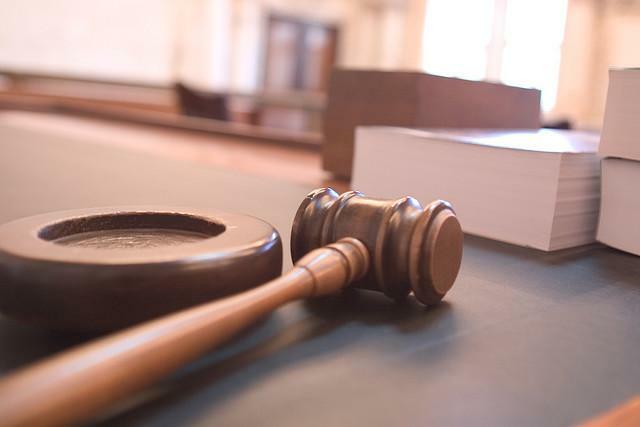 Some of the seven people in federal custody on charges of an alleged money laundering scheme for Mexican drug cartel Los Zetas are scheduled to appear in an Austin courtroom today. Officials say the defendants hid millions of Zetas drug money in the horse racing business. Forty-eight year-old horse trainer Eusevio Maldonado Huitron was arrested in Austin on Tuesday. He’s schedule to appear before U.S. Magistrate Judge Andrew W. Austin at 2:30 p.m. for arraignment and a detention hearing.